TMJ stands for temporomandibular joint. 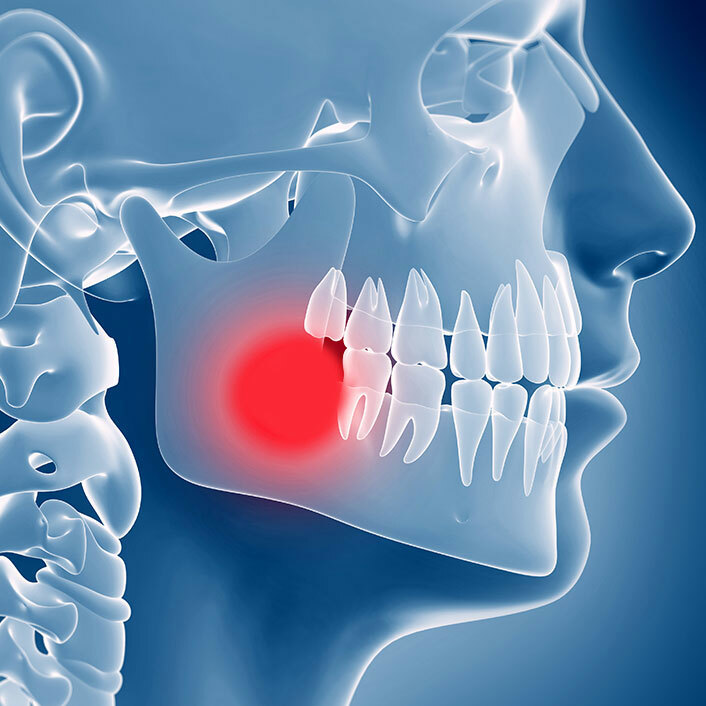 TMD stands for temporomandibular dysfunction and is used to describe dysfunction or disorders related to the joint. “Temporo,” refers to the temple area of the skull; “mandibular,” refers to the lower jaw; and “joint” is essentially where the head and jaw meet. Problems in this joint may be caused by trauma, misalignment of the teeth, excess muscle tension and others. The TMJ is a complex joint involving 2 major bones, multiple muscles, ligaments and a disc. When injury happens to the TMJ, any of these components can be affected and symptoms can arise. A problem diagnosis of TMJ is essential to determine the proper course of treatment. Our doctors utilize a complex examination, evaluation of possible referral areas of pain to the TMJ, 3D imaging and in some cases, MRI, to determine the proper course of treatment. There is not a one-size-fits-all treatment for TMJ problems. This is why our doctors go to extensive lengths to make a proper diagnosis. Dr. Jill has been a member of the Piper-McKee Study Club since 2013. This study club was started by Dr. Mark Piper, a world renowned TMJ surgeon. Member of this study club from throughout North America meet two times per year to discuss proper diagnosis, treatment options for the TMJ and also the many areas of pain that overlap with TMJ symptoms. If you are experiencing any symptoms that you feel are related to your TMJ or would like more information about TMJ, please call our office to schedule a consultation.